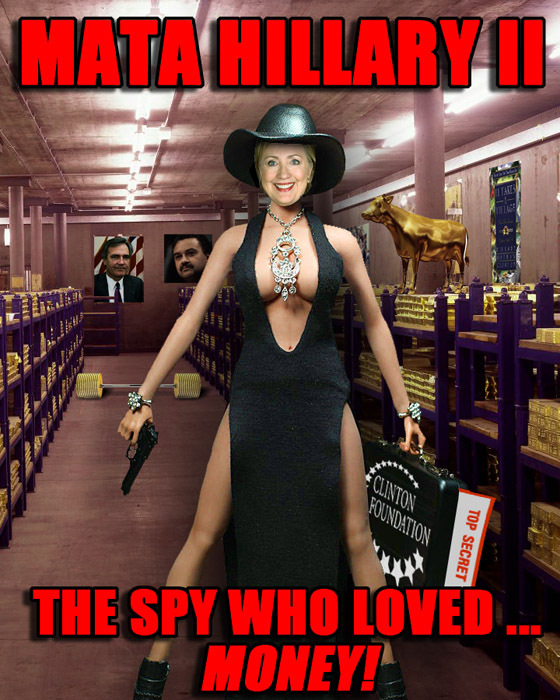 HILLARY THE SPY? - UPDATED INFO! Let us start with an historical fact. Treason and betrayal by the highest levels is a common feature of history, whether it is Judas vs Jesus, Brutus vs Julius Caesar, Benedict Arnold, the Rosenbergs, Jonathan Pollard, Aldrich Ames, Robert Hanssen. It is just a fact of life. It does happen. 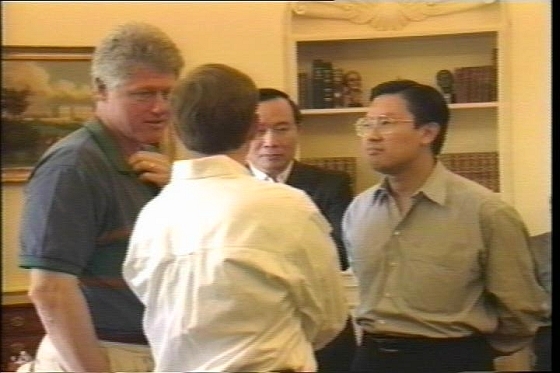 Back in 1996, when Bill Clinton was running for re-election, he authorized the transfer of highly sensitive technology to China. This technology had military applications and allowed China to close the gap in missile performance with the United States. The transfers were opposed and severely criticized by the Defense Department. 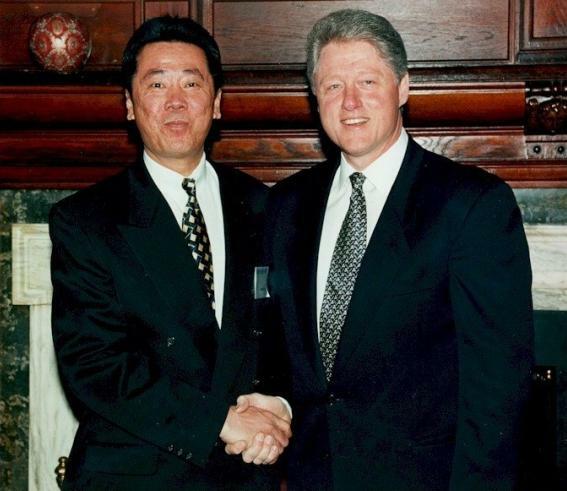 At the same time Bill Clinton was transferring this technology to China, huge donations began to pour into his re-election campaign from the US companies allowed to sell the technology to China, and from American citizens of Chinese descent. The fact that they were US citizens allowed them to donate to political campaigns, but it later emerged that they were acting as conduits for cash coming in from Asian sources, including Chinese Intelligence Agencies! The scandal eventually became known as China-gate! A close associate of Indonesian industrialist James Riady, Huang initially was appointed deputy secretary of commerce in 1993. By 1995, however, he moved to the Democratic National Committee where he generated hundreds of thousands of dollars in illegal contributions from foreign sources. Huang later pleaded guilty to one felony count of campaign finance violations. Like John Huang, Trie raised hundreds of thousands of dollars in illegal contributions from foreign sources to Democratic campaign entities. He was a regular White House visitor and arranged meetings of foreign operators with Clinton, including one who was a Chinese arms dealer. His $450,000 contribution to Clinton's legal defense fund was returned after it was found to have been largely funded by Asian interests. Trie was convicted of violating campaign finance laws in 1998. One of Trie's main sources of cash was Chinese billionaire Ng Lap Seng, according to a Senate Report. Ng Lap Seng had connections to the Chinese government. Seng was arrested in 2015 over an unrelated bribery case, but this gave investigators the opportunity to question Seng about the Chinagate scandal. Former United Nations General Assembly President John Ashe was also caught in the bribery case and was about to testify to the links between the Clintons and Seng when he was found dead that very morning. Initially reported as having died from a heart attack, John's throat had obviously been crushed. At that point the official story changed to him accidentally dropping a barbell on his own throat. 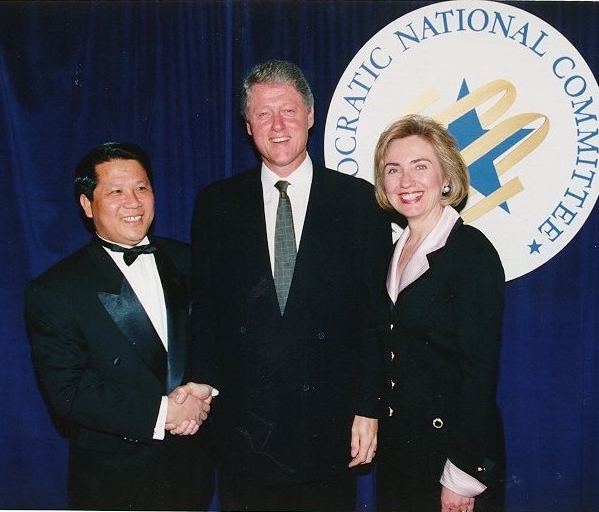 Ng Lap Seng with the Clintons. Gave more than $366,000 to the Democratic National Committee prior to the 1996 campaign, but it was returned after officials learned it came from illegal foreign sources. 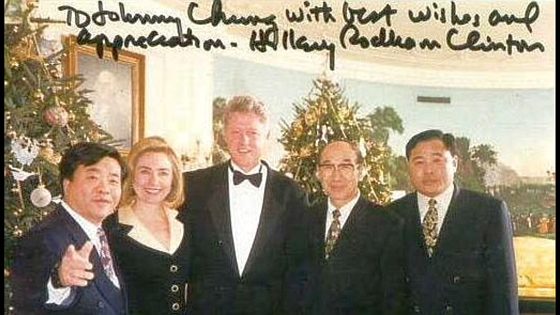 Chung later told a special Senate committee investigating 1996 Clinton campaign fund-raising that $35,000 of his contributions came from individuals in Chinese intelligence. Chung pleaded guilty to bank fraud, tax evasion and campaign finance violations. Chinagate, documented by Judicial Watch, was uncovered by Judicial Watch founder Larry Klayman. Technology companies allegedly made donations of millions of dollars to various Democratic Party entities, including President Bill Clinton's 1996 re-election campaign, in return for permission to sell high-tech secrets to China. Bernard Schwartz and his Loral Space & Communication Ltd. later allegedly "helped China to identify the cause of [a rocket failure], thereby advancing China's missile program and threatening U.S. national security, according to records. This establishes a history of the Clintons treating US secrets as their own personal property, and selling them to raise money for campaigns! Is history repeating itself? It appears so! 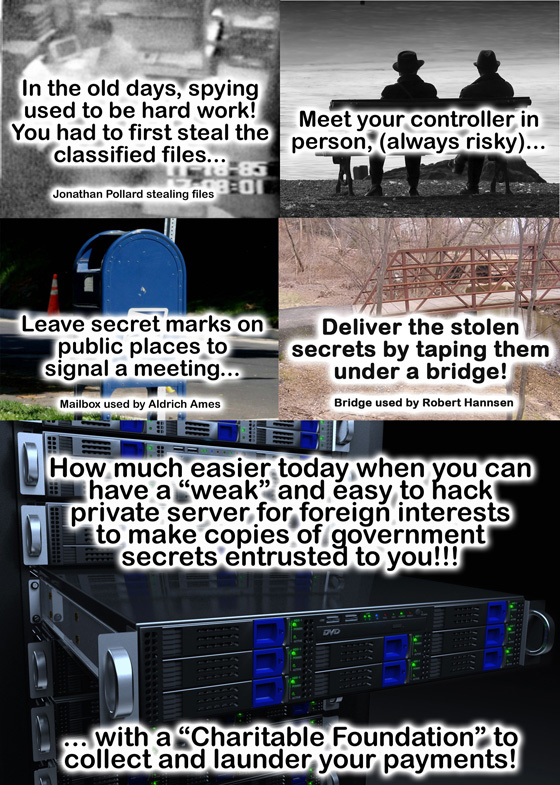 Let us consider a private email server with weak security, at least one known totally open access point, no encryption at all, and outside the control and monitoring systems of the US government, on which are parked many of the nation's most closely guarded secrets (as well as those of the United Nations and other foreign governments)! It is already established that Hillary's email was hacked. One hacker named Guccifer provided copies of emails to Russia Today, which published them. Security experts agree that Hillary's server had worse security than the Ashley Madison website! Hillary Clinton's emails on her unsecured, homebrew server contained intelligence from the U.S. government's most secretive and highly classified programs, according to an unclassified letter from a top inspector general to senior lawmakers. Fox News exclusively obtained the text of the unclassified letter, sent Jan. 14 from Intelligence Community Inspector General I. Charles McCullough III. It laid out the findings of a recent comprehensive review by intelligence agencies that identified "several dozen" additional classified emails -- including specific intelligence known as "special access programs" (SAP). That indicates a level of classification beyond even "top secret," the label previously given to two emails found on her server, and brings even more scrutiny to the presidential candidate's handling of the government's closely held secrets. Clinton and her top aides had access to a Pentagon-run classified network that goes up to the Secret level, as well as a separate system used for Top Secret communications. The two systems - the Secret Internet Protocol Router Network (SIPRNet) and the Joint Worldwide Intelligence Communications System (JWICS) - are not connected to the unclassified system, known as the Non-Classified Internet Protocol Router Network (NIPRNet). You cannot email from one system to the other, though you can use NIPRNet to send emails outside the government. Somehow, highly classified information from SIPRNet, as well as even the super-secure JWICS, jumped from those closed systems to the open system and turned up in at least 1,340 of Clinton's home emails - including several the CIA earlier this month flagged as containing ultra-secret Sensitive Compartmented Information and Special Access Programs, a subset of SCI. There is no way that information from these isolated systems can be emailed to a private outside email server. This information had to be put on a flash drive and walked outside the secure area. : State Department releases email proving Hillary Clinton ordered her staff to remove classification markings from classified document! This is a felony! 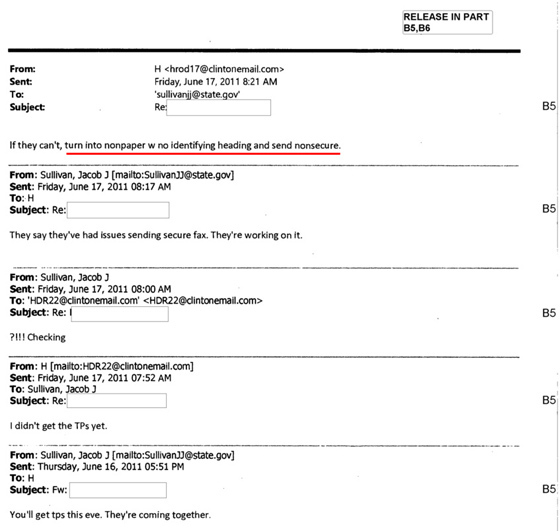 Journalist Jason Koebler issued a FOIA request for '‘communications, presentations, and procedures created by the State Department to secure Hillary Clinton’s email from electronic threats.' The State Department is resufing to release the documents until after the November election. Bryan Pagliano, who set up Hillary Clinton's email server, originally pled the Fifth Amendment when questioned by Congress. Now, he has been granted immunity! The Republican National Committee filed a FOIA lawsuit with the State Department for all emails to and from Bryan Pagliano, the man who set up Hillary's private email server in her home in Chappaqua, NY. The State Department responded saying that all emails for the time Bryan Pagliano worked for Hillary Clinton ... have vanished! So, what we have here is a charitable foundation owned by the Clintons (which actually does very little charitable work), allowed to accept "donations" from foreign sources, and roughly 40% of the cash that has poured into the Clinton Foundation has come from foreign sources. The identities of many of these foreign sources were concealed using a shall company in Sweden! In addition, Wall Street analyst Charles Ortel analysed the Clinton Foundation and declared the organization has been operating in a “boldly illegal” fashion, calling it “charity fraud” adding Canadian corporations to the list of cutouts to conceal where the "donations" originate! 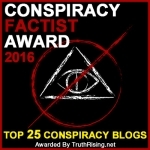 Many of those foreign sources received preferential treatment from Secretary of State Hillary Clinton, sufficient for attorney Larry Klayman to file a RICO lawsuit against the foundation (which as of last report was thrown out of court by a Clinton-appointed judge who refused to recuse himself over the obvious conflict of interest)! Some nations, repeating the 1996 scandal, were granted permission to acquire US weapons after donating to the Clinton "charity!" Easy means of delivering secrets using the weak private email server. Easy means of accepting payment through a "charitable" foundation! This is a perfect setup to repeat the 1996 selling of secrets for cash. In other words, a perfect espionage operation, running out the US State Department, with the weak email server providing the secrets and a charitable foundation to accept and launder the payments! Hillary doesn't have to physically steal the files, the way Jonathan Pollard did. Hillary doesn't have to scratch an X on a mailbox, the way Aldrich Ames did. Hillary doesn't have to tape bundles of stolen documents underneath a park bridge, like Robert Hannsen did! It is time to look past the small scandal of the private email server at what may be a far larger scandal hidden behind it! Do not count on the Federal Government or corporate media to ask the question that must be asked. In politics there are two kinds of secrets. There are the small secrets that can be used against political opponents, such as adulterous affairs, or bribery. Then there are the great secrets that could bring down the entire government, such as the truth behind the JFK assassination, the truth behind 9-11, ... and the truth behind a serving Secretary of State betraying her country! UPDATE: The Office of the Inspector General of the State Department has issued a scathing report on Hillary's use of a private email server, confirming that much if not most of Hillary's claims have been lies. Most damaging of all is that Hillary was aware of at least four hacker attempts on her server, which she did NOT report to the State Department! UPDATE: Judicial Watch has started deposing Hillary's staff, and what has been learned so far further exposes Hillary's reckless handling of state secrets, to the point where the Department of Justice is now trying to block further depositions, especially that of Hillary herself. UPDATE: FBI finds 15,000 more Clinton documents. They sure do act like they have a great scandal they are trying to hide! There are currently 4 users and 1340 guests online.